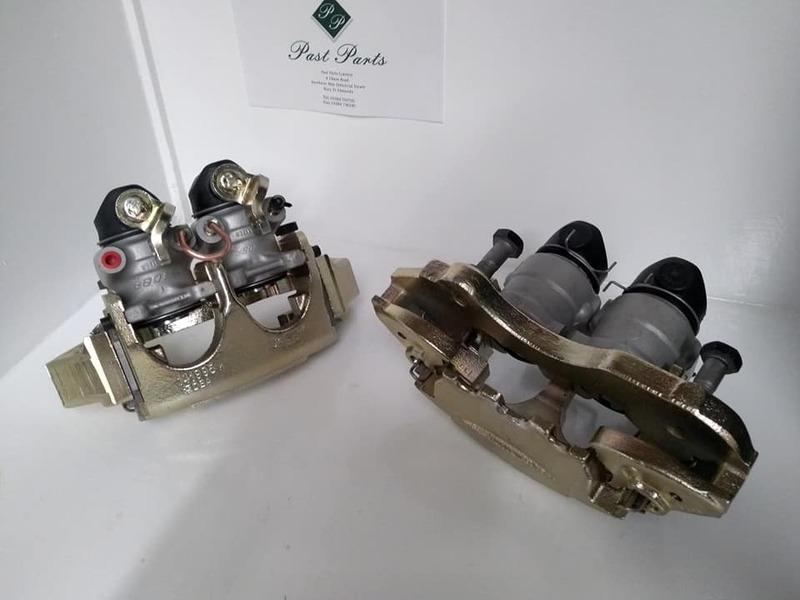 Some of you will know I work for a company called Past Parts which is a classic car brake restoration company. They specialise in resleeving and rebuilding of pre-1990 master, wheel and slave cylinders, servos and calipers. This year I am trying to get some folk together for monthly evening tours. These will be held on the second Tuesday of the month from 6:30ish and go on for around two hours. They are extremely informal (I will make sure of that) and are relaxed, friendly evenings. You will be offered a cup of tea and a biscuit, given a brief talk on Past Parts history and what we do, then will be shown the rebuild process, and the mountains of new old stock parts we have here. Trigger came along last year with some of the East Coast Retros chaps and I think he had a good time! If anyone's at a loose end and wants to come along next Tuesday evening, please register interest below! I'll be there, hopefully in something interesting, if not than the ropey Clio of many shiters. 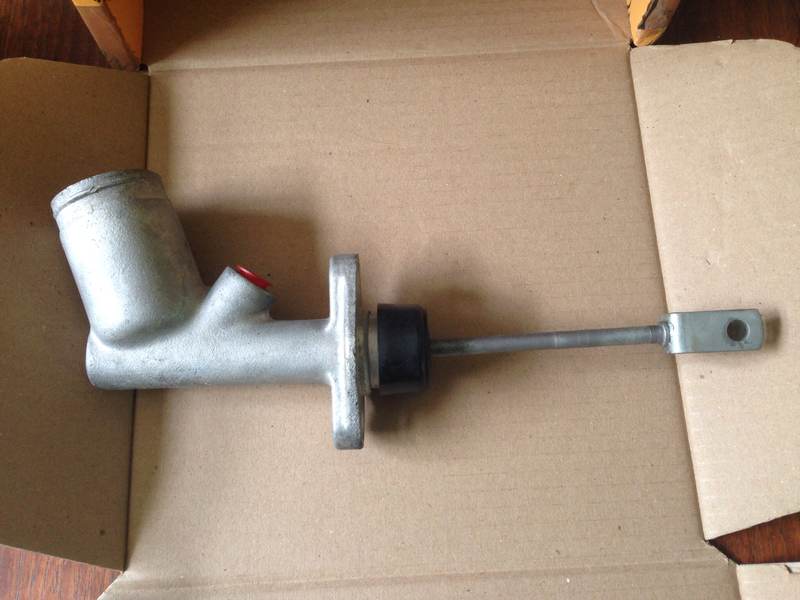 If I bring my Volvo caliper with me, could you do a quick refurb on it while I'm drinking my tea? I've spent more than enough time in that building thank you. Actually it was unit 3 but that's not the point. (I used to work for Past parts now defunct parent company in 1998). Might be worth adding an "Event" tag to the thread to make it more noticeable. I normally work in an office about five minutes away from you. Unfortunately I am over in Belgium for the majority of next week and will miss this. However, if you have more dates planned for the year please pop them up on here. It sounds rather interesting. Get the train up to Diss and you could borrow one of mine. Serious. This Tuesday could be good for me, and I need to take a trip down Bury way at some point soon. That’s an extremely good offer! Thank you, I’d love to. I can’t do this Tuesday but might go for another in the summer if this is a recurring thing. I might be able to pop over, I will check and let you know. That's absolutely fine, the offer stands for as long as I have something spare, working and with T&T. So, I have FINALLY got around to fixing this. The bits arrived back about 5 weeks after I sent them off for refurb, but I was busy then went on holiday so the poor Rover has been sat on ramps on the drive since the end of June. Past Parts did a grand job, remanufacturing both the master and slave cylinders so they looked like new. Thanks to all above for the recommendation. Cost was a smidge more than NOS replacements including the postage and stuff, but as others have said there's every chance that the 'new' parts have been sitting in various warehouses for 40 years so may not be much better than the knackered old ones. Anyway, Past Parts = recommended. Rimmers, to their credit, cancelled my order for NOS ones over the phone with no quibble and gave me my money back. Refitting was the reverse of removal, basically, except a lot easier for the bolts not being rusty any more. I sourced a new gasket for the cast aluminium master cylinder/steel bulkhead join, but made my own from trim tape (double sided sticky foam) for the slave cylinder; might order a proper one as I'm not sure what the respective castings are made of and don't want any chance of them reacting. It might have taken the best part of two months but, for once, I did a job on the car that worked: the clutch pedal now feels lovely and the car now has all four feet on solid ground. Quite pleased. Fingers crossed I don't find a puddle of clutch fluid on the drive tomorrow. Obviously you can’t see all the re-sleeving and other work but you get the gist. Three and a half years later the clutch hydraulics are still tippy-top, of course. I would love to see this, sadly distance prevents me joining this time. With a bit more warning it might be do-able! Me too, I love factory visits but making the trip from Lancashire sadly isn't feasible. Past Parts should be supported for their services keeping old cars roadworthy. I have been very pleased and Angrydicky is a great chap, going above and beyond to help people. We are planning to do one a month until October, as long as we can get a minimum of 3 or 4 people per month (up to maybe 10 or 12) it'll be on! 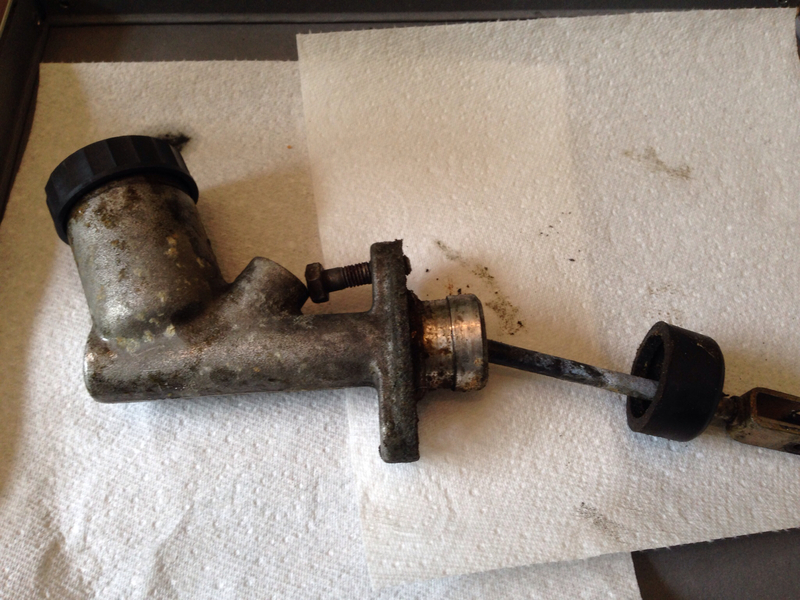 Glad the master cylinder is still giving good service Martin! It's an old chestnut, but the prices do seem expensive until you realise that you get an effectively new unit back. A lot of work goes into all jobs and personally I love working on stuff belonging to more obscure cars. Sometimes parts are an issue, but we don't easily give up! 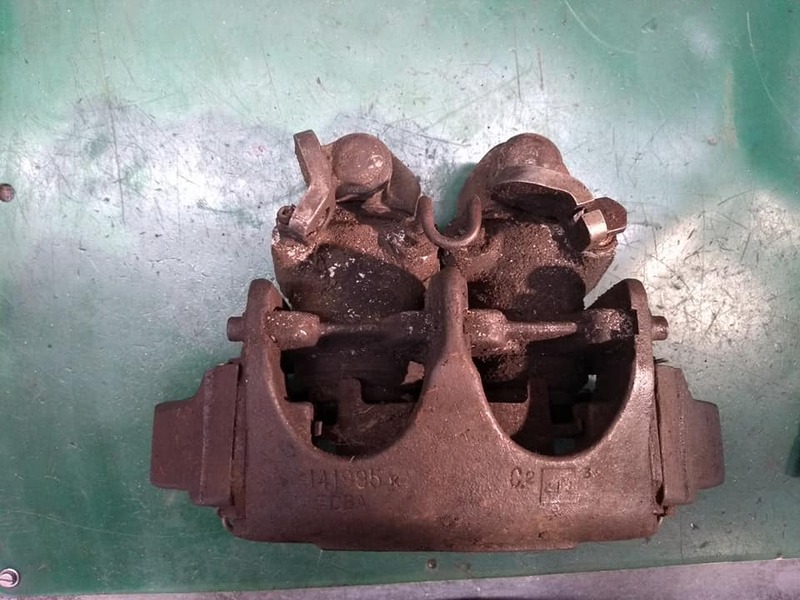 Here's a set of 1970s Bendix calipers recently completed for a customer with a Peugeot J7. Got sets in for a Renault Caravelle, Austin Ambassador, and a Matra Bagheera at the moment (which seem to be the same as Rancho). Couldn't make it tonight, still stuck at work. A very interesting evening, some real skill and craftsmanship going into the remanufacture/refurbishment of these components. And what a treasure trove of NOS parts! Many thanks to Richard for inviting us along, and also for Colin in letting me drive his LS400 despite being a few bob short of the agreed price on the wheels he was selling me (embarrassed blush). A servo assisted dose of thanks to Richard and Nigel for the enlightening evening and hospitality. What a wonderful experience to see what happens behind the scenes and beneath the plating, not to mention the seemingly never ending shelves of assorted components and their equally varied packaging and branding. Just when I thought a blustery Tuesday evening couldn’t get better, I managed to blag a go in Spottedlaurel’s luscious 1600 Sunny, treats!